Alex O'Rion hails from The Netherlands and is one of the latest and brightest stars to emerge on the legendary Black Hole Recordings label. His sound can best be described as an intoxicating mix of trance, techno and electro, and Alex's name first shot to prominence with impressive underground club hits such as 'Release The Beast' and 'Like A Box Of Fluffy Ducks' on the Terminal-4 label; releases that prompted Black Hole Recordings to sign him up for a series of singles and an artist album. "The title is my 'statement of intent. I want to make music that'll really find its place in larger and larger spaces. I concentrate on condensing as many effects as possible, into the audio. I think they combine to 'fill' every corner of dance space that they're played in - all in order to create the 'bigger room' effect." 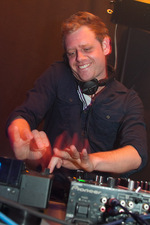 'The Bigger Room' sounds were evident in playlists of leading DJs throughout 2011 with key singles such as 'Craters Of The Moon', 'Who Am I Today' and 'Rise Up Again' all getting widespread support from DJs as diverse as Armin van Buuren, Ferry Corsten, Richard Durand and Judge Jules. The rise of Alex's name as an in-demand producer has also seen his DJ career taking off with performances all over Europe and beyond. He versatility behind the decks saw him promoted to being the official support DJ on the 'In Search Of Sunrise' world tour dates alongside Richard Durand since 2010, and his crowd rocking abilities and exclusive tracks and mash-ups at his disposal has seen his status soar as an in demand guest DJ; Alex has performed in recent months on legendary stages such as Nature One Festival in Germany, Trancefusion in Czech Republic, Ultra Music Festival in Russia, Gallery / Ministry Of Sound and Lush in the UK just a few names on the list of standout shows in an increasingly busy DJ schedule. In 2012 Alex released his first compilation mix titled 'Departures'; a label showcase from Terminal-4 where Alex started his recording career and remains in an A&R role to this day. 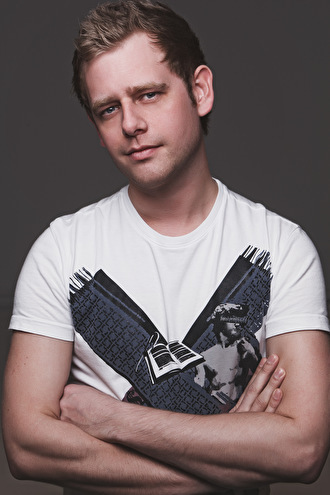 Alex's own productions have been released exclusively on Black Hole / Magik Muzik since 2013, with notable releases including the recent 'Tornado' single which was awarded Mixmag 'Single Of The Month', the Armin van Buuren and ASOT playlisted 'Don't Look Back', plus the 'Satellites / Blueprint' EP that featured initially as exclusive tracks on ISOS10 and were keenly supported in the playlists of leading lights such as Above & Beyond and Markus Schulz. Alex has also been on a roll with remixes with 2012's epic remake of Cosmic Gate & Arnej 'Sometimes They Come Back For More' followed up by remixes of the official 'Trancefusion' anthem, Richard Durand & Pedro Del Mar 'Paint The Sky' and, most recently, the awesome Ferry Corsten feat. Betsie Larkin 'Stars'. Alex O'Rion brengt ons zijn debuutalbum 'The Bigger Room'. Heeft er ooit een artiest met een grotere glimlach op de hoes gestaan dan Alex?